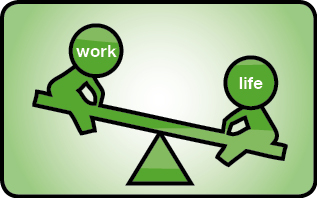 The devastating impact of the economic downturn on work/life balance can be revealed today, and shows that UK workers are more stressed, working longer hours and are taking less holidays. The survey also flags up significant regional differences, with workers in Yorkshire claiming to have the best work / life balance. “This survey provides an interesting insight into people’s work and home lives since the beginning of the economic downturn. It shows people are feeling more stressed, often caused by work, and have less time for their loved ones. More worryingly a quarter of those surveyed said they are using alcohol to cope with work stress. The figures also show an increase in the number of people working unpaid overtime, with almost half (45%) saying they were doing more since the economic downturn. 30% of those surveyed said they were working between one and seven hours more per week, and 14% are working between eight and 20 hours more per week. Senior managers were the most likely group to fail to take their full holiday entitlement, (43%), with middle managers the next most likely (32%). More than a quarter (26%) of those surveyed said that their partners were suffering due to their poor work/life balance, and 14% said their children do too. Almost half (47%) of respondents said they spend less time with their family and friends due to poor work/life balance, and around the same number (43%) said they were more short tempered and less tolerant with family and friends. Almost a fifth of people (19%) said they argue more and around a third (29%) said they do not want to go out and ‘do things’. To cope with the stresses of work, a quarter (25%) of people said they use alcohol, but less than a quarter (23%) use a gym or exercise outdoors. The survey also reveals significant regional differences, with 46% of workers in the Midlands reporting that they feel more pressure at work since the beginning of the economic downturn, compared with 36% of London workers. 44% of Londoners failed to use their full holiday entitlement in the last year. This compares with only 9% in the North East. However, workers in the North East were the most likely to turn to drink, with 40% saying they use alcohol to cope with work related stress. In London this figure was lower at 23%. Almost half (47%) of workers surveyed in Wales say they have increased the number of hours of unpaid overtime worked since the economic downturn, compared with 29% of workers in the North East. The survey reveals that people working in Yorkshire report having the best work / life balance. The are also the least likely to work unpaid overtime. Nuffield Health is the largest not-for-profit provider of healthcare in the UK, and has been for over 50 years. Through our 31 hospitals, 65 fitness & wellbeing centres, 6 medical clinics and 200 corporate facilities, we offer the services of over 15,000 health experts to help people get healthy, and stay healthy. We help people to identify and manage their individual health risks, and provide sophisticated diagnosis and treatment when problems occur. We are independent of government and have no shareholders so reinvest all financial surplus for the benefit of our customers. Nuffield Health Fitness & Wellbeing Centres are a new concept in integrated health, fitness and wellbeing. Our 65 Centres provide a joined up approach to managing your health & fitness by offering a combination of fitness facilities and highly qualified health care professionals in one place. Every member can benefit from a comprehensive Health MOT to give a clear picture of their starting point and a personalised plan to get and keep them fit and healthy for life.